INFINITI of Chattanooga is a family owned business where we value customer satisfaction first and foremost. We are in the business of selling cars, but we believe the key to our success is building lasting relationships. Rest assured, when you inquire about a vehicle at INFINITI of Chattanooga, you will be met with sincere kindness and integrity. We offer great products, competitive prices and superior customer service. We encourage you to come in and visit us. We invite you to get to know us in our new, state of the art facility. Relax in our customer lounge or grab a refreshment and see what’s new in our showroom. We are certain you will not be disappointed with the service you receive. Whether you want to purchase, finance, or service a New or Pre-owned INFINITI, you’ve come to the right place. Call us at 423-393-3344 or come in and see us today! 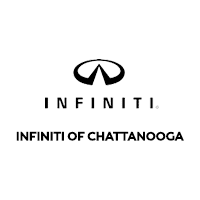 Every NEW vehicle sold at INFINITI of Chattanooga comes with the INFINITI of Chattanooga Advantage! Minor dents and door dings are removed by trained technicians.